Looking to learn the illusive handstand? Our Handbalance classes are aimed at improving your handstand and inversion skills through building the strength, balance, flexibility and endurance needed to get you confident with being upside down. We combine methods based around Circus handbalance and Gymnastics, learned from some of the best teachers in the world. Since every person is different in what their strengths and weaknesses are, we first build a foundation of basic skills to ensure you develop your handstand from the ground up. Movements that we use involve solo and partner work on the floor, wall and out in the open. Though don't stress, we always make sure you are proficient and confident on the floor and wall before we begin freestanding work. 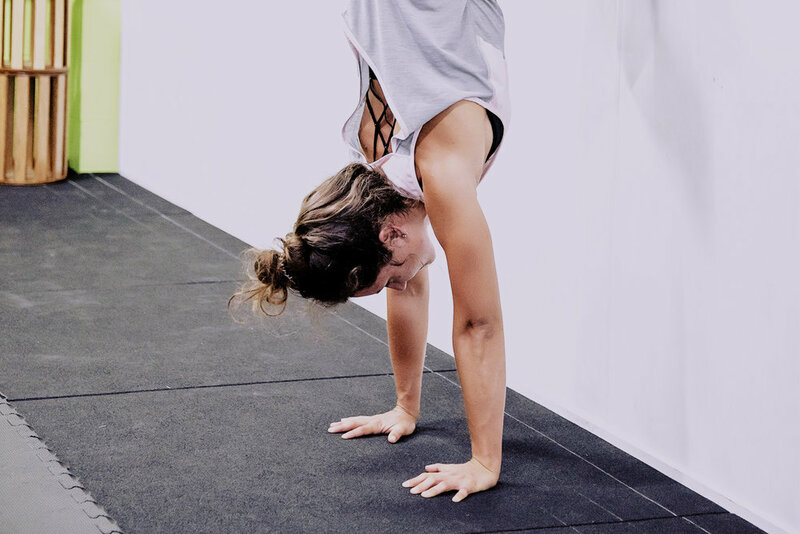 If you already train CrossFit or practice Yoga, this class is perfect to help you not only improve your handstand, but also develop a handstand practice. Wanting to take it a step further? Once our regular attendees reach a level of competency and understanding in basic skills, we offer a personalised handbalance program for you to follow during the class. This also gives you the option to follow your program alongside other classes (such as Progressive Movement or Bamboo Effect), meaning you'll have more class times to do your handbalance work and further improve your skills. Having your own program is the stepping stone towards reaching skills such as the 60 second free handstand, press to handstand and the one arm handstand. With our progressive approach, we tailor and scale movements to suit each individual. Age is just a number; all adults are welcome, as well as kids aged 13 onwards. Whether you already have skills in the handstand, or haven't ever been upside down, we cater for both ends of the spectrum to make sure that you are challenged with appropriate movements for your level.